What a wet day today has been! I am seriously fed up with all of the wet weather now, and would love some crisp, cold, dry and sunny days!! Not much of a winter so far it has to be said, and while I do not like having to defrost my car I would rather that than all this rain! So this week has not been very exciting (again!) which is reflected in my photos! Anyway, here is a look back at our week that was. 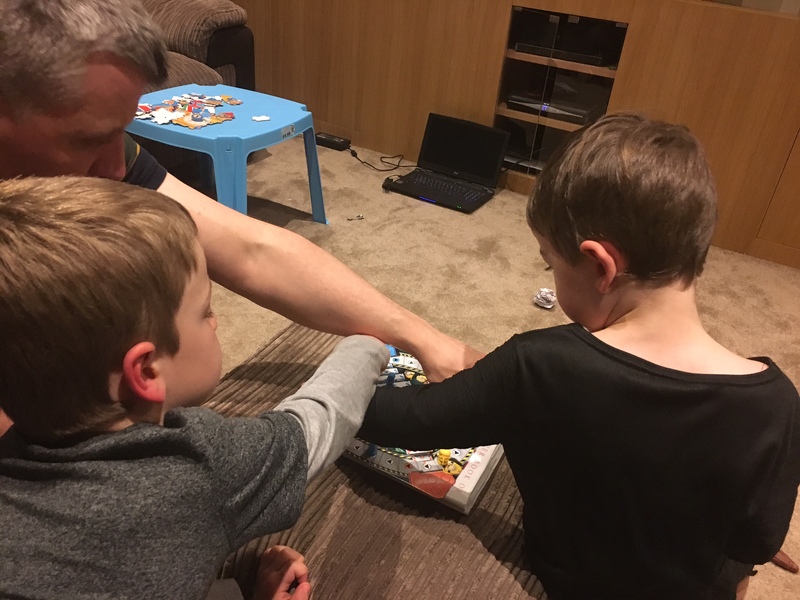 Sunday – playing a game of Frustration kind of sums up the day! It rained all day so it was a day spent at home watching films and playing bored (ha!) games. 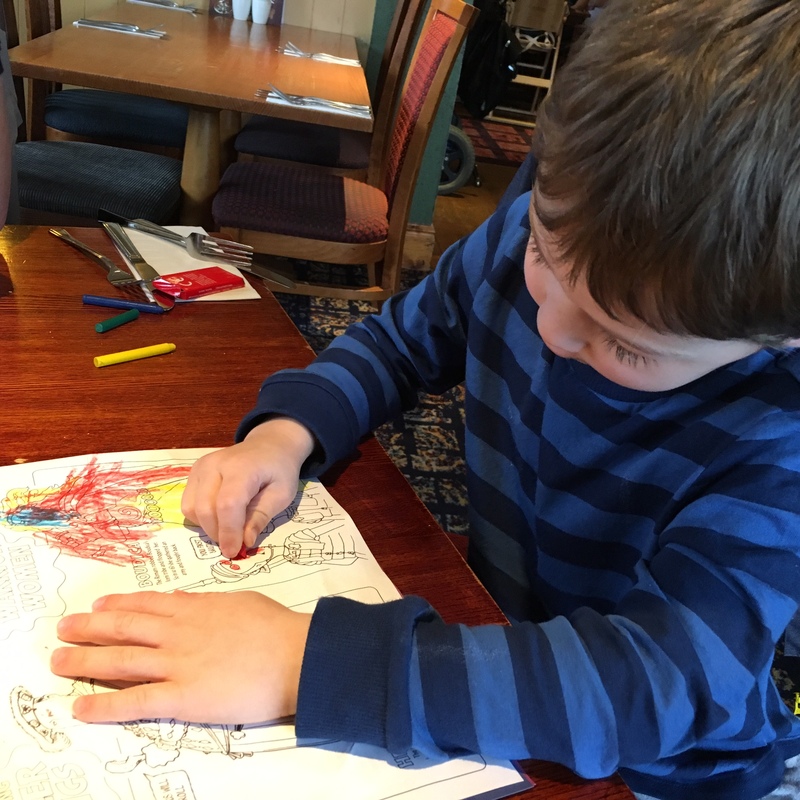 Monday – Burton’s project. 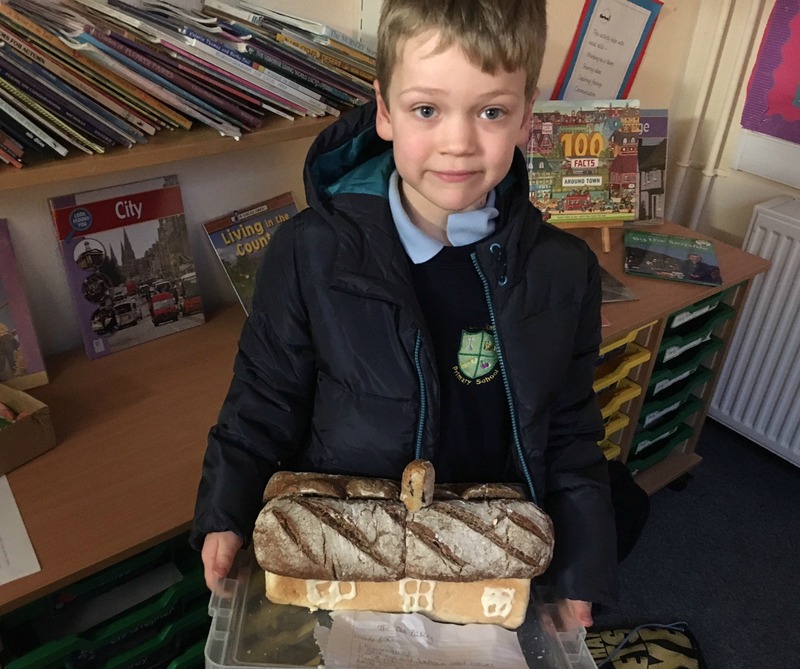 He had to make a 3D model of something from the village in which his school is in. We made the old bakery out of bread! 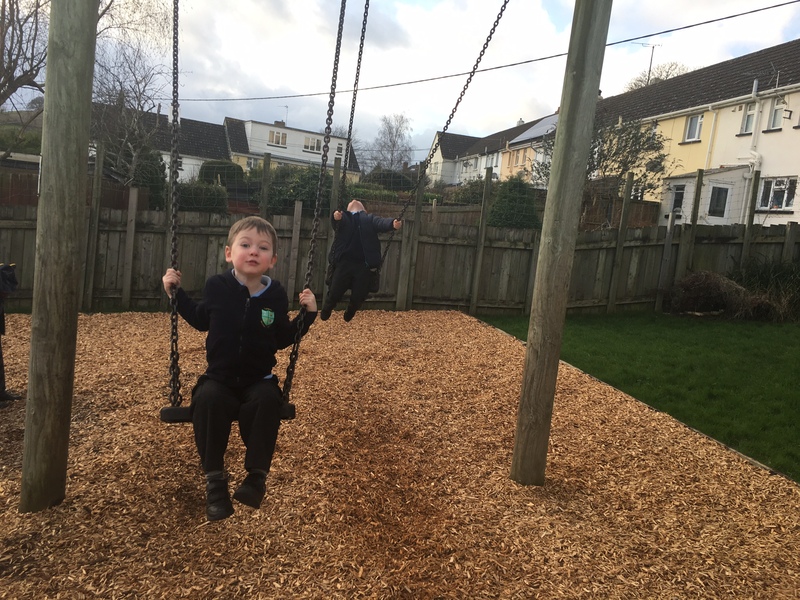 Tuesday – a trip to the park after school before it rained! It’s been awfully wet this year hasn’t it? I don’t mind crisp, sunny days but I loathe the dampness and wet that we’ve had. Well done on managing to get at least one trip outside though, I can’t quite remember when we had our last one now! Making the bakery out of bread was a superb idea. Saturday was so wet, wasn’t it? Making a bakery out of bread is a genius idea! Well done to the boys on the gold star and the lovely self-portrait. Roll on some better weather! I’m loving the bakery made from bread. Such a good idea and edible too. 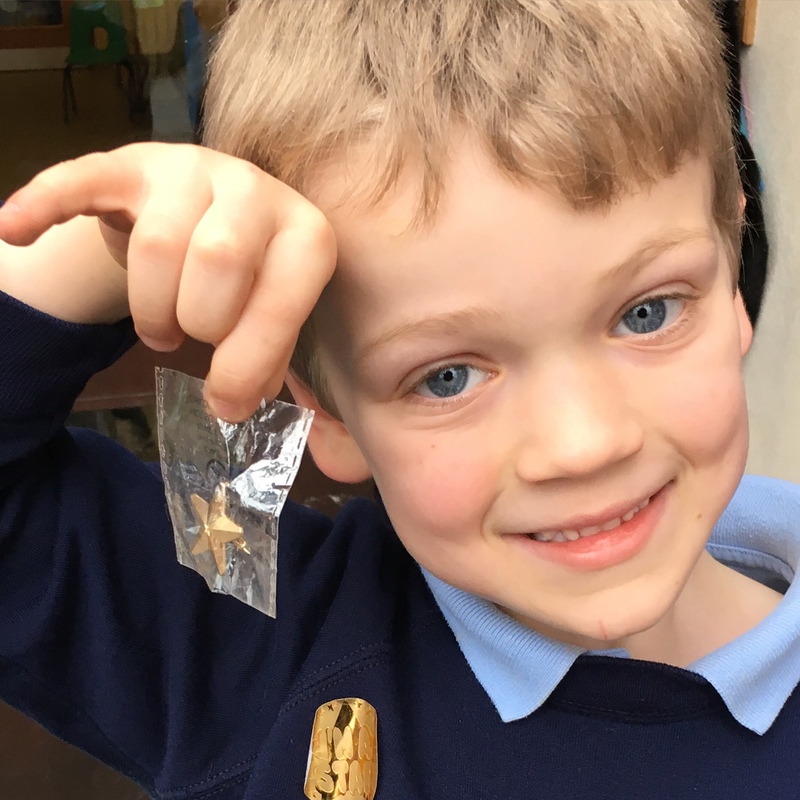 Well done to Burton on his gold star. That bread model is awesome! Well done! Loved the bored games, sadly that about sums up the weather. I am with you winter is suppose to be cold crisp and blue skies. 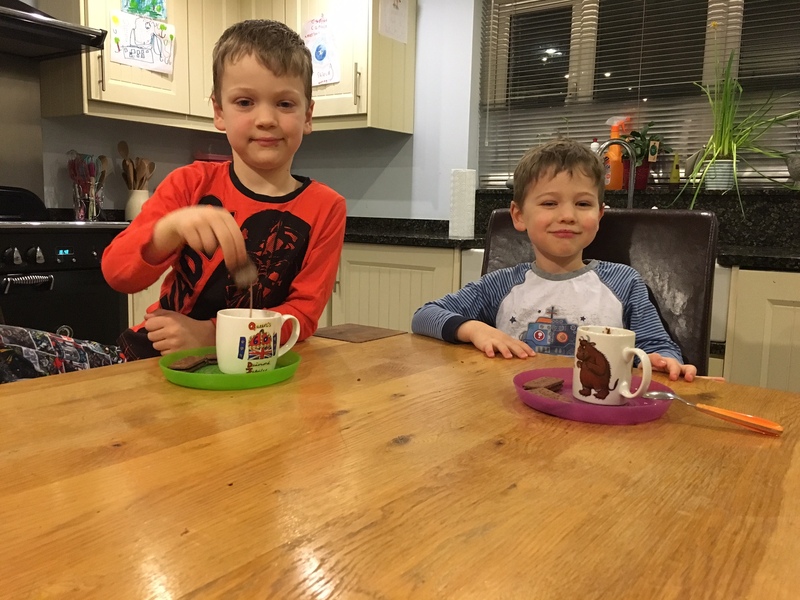 Shame the hot chocolate did not work. 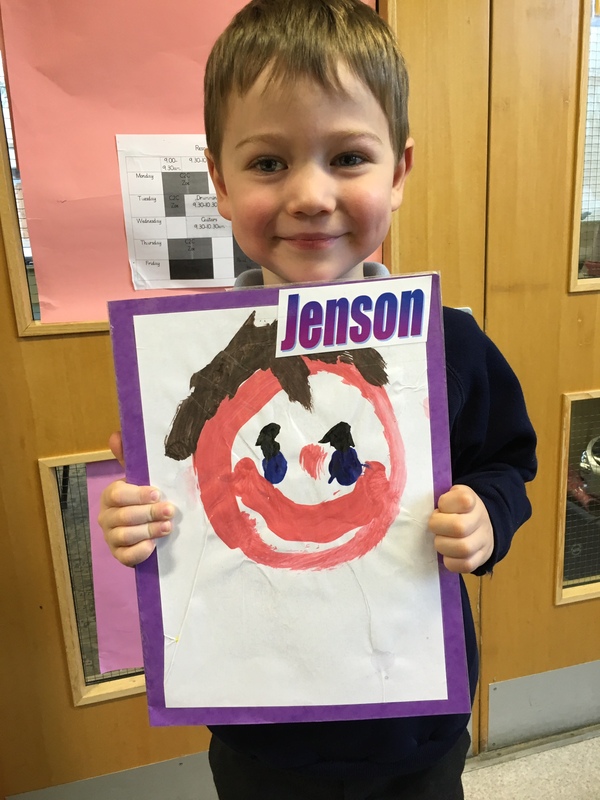 Love the self-portrait of Jenson, Glad he captured his smiley face.